will talk to you about its history and will bring you in contact with its people. Are you thinking of a better way to know a city? For each itinerary, we have decided on a specific meeting point. With no extra charge and upon request we can start and finish our tour at the hotel where you are staying, as long as this is located in the center of the city. 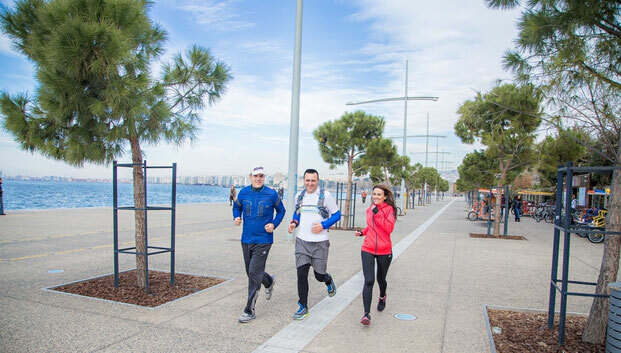 We adjust our running pace to your needs, whether you want to take a relaxed running tour or you are in a period of demanding running training. Beside our own suggestions, we can plan together your own customized itinerary, by adapting it to your personal interests and your specific fitness level. There will be absolutely NO EXTRA CHARGE, as long as the itinerary does not exceed the 2 hours. Use our online form to describe to us the itinerary of your dreams! Our team can support the following range of languages: English and German. In each itinerary we have arranged two to three short stops, depending on how tired you feel physically, the number of sights worth seeing and vistas worth admiring , but also allowing time for taking photographs, always with your prior consent. 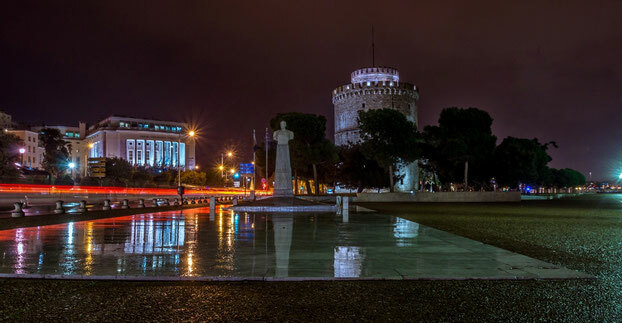 The weather in Thessaloniki throughout most of the year is ideal for running. Even during the summer period, running is pleasant and safe. Anyway, we will inform you of the weather forecast 2 days beforehand, as well as of what you need to wear and have with you. 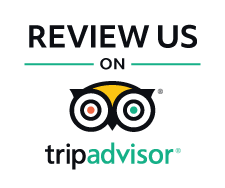 It will take us at least 24 hours to respond to your request for a specific tour- however, even in last-minute reservations, we will do our best to be of premium service! All reservations will be made via www.runwithmethessaloniki.com. Cancellations and full refunds are only possible by sending a written request for cancellation, up to 24 hours prior to the planned tour. After this period, cancellations and refunds are not possible. Besides, as life can often be unpredictable, in case of sickness or a late night out with good friends and lots of beer, we understand! Just contact us the soonest possible and we will suggest the best alternative! 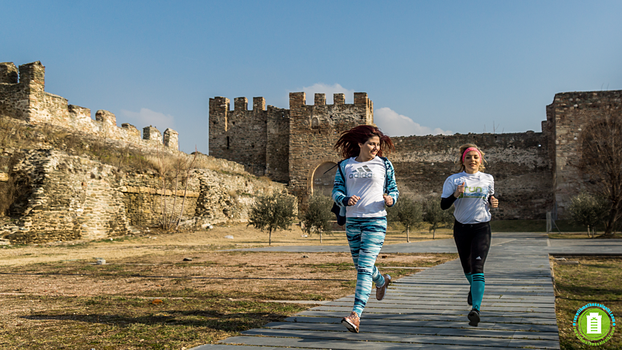 Our expert itinerary planning and our experienced runners guarantee a unique experience for you, in perfect safety. To us, your health and security is a priority! However, our responsibility is restricted to the tour, as our staff, although perfectly qualified as trainers, are not health professionals. The organization and the staff will under no circumstances be responsible for any health problems caused during or after the running tour, for this reason you will be asked to sign a relevant document before we start the tour. Given the fact that we will have to cross the city center, there might be some traffic and air pollution. You are requested to follow our guide and listen to their directions, respect the traffic lights and other safety rules related to the use of public streets. We will be glad to organize an original corporate package for your customers or your company staff. Big groups can be divided into smaller ones, which will be more uniform and functional, for a refreshing experience. We suggest that you should have with you at least 0.50lt of water and whatever else you believe you are going to need in terms of energy foodstuff for an average itinerary of about 70- 80 minutes. In addition, our guide will have an extra supply of water and electrolytes, as well as energy bars and gels at your disposal. Also, you can store your personal items, such as keys, coins, a second t-shirt, etc in his/her backpack.